A Laceration Tuna Snack set of four each rigged with a single keel weighted 9/0 stainless needle eye Quick Rig hook, 800lb cable and 300lb BB swivel and shackle. 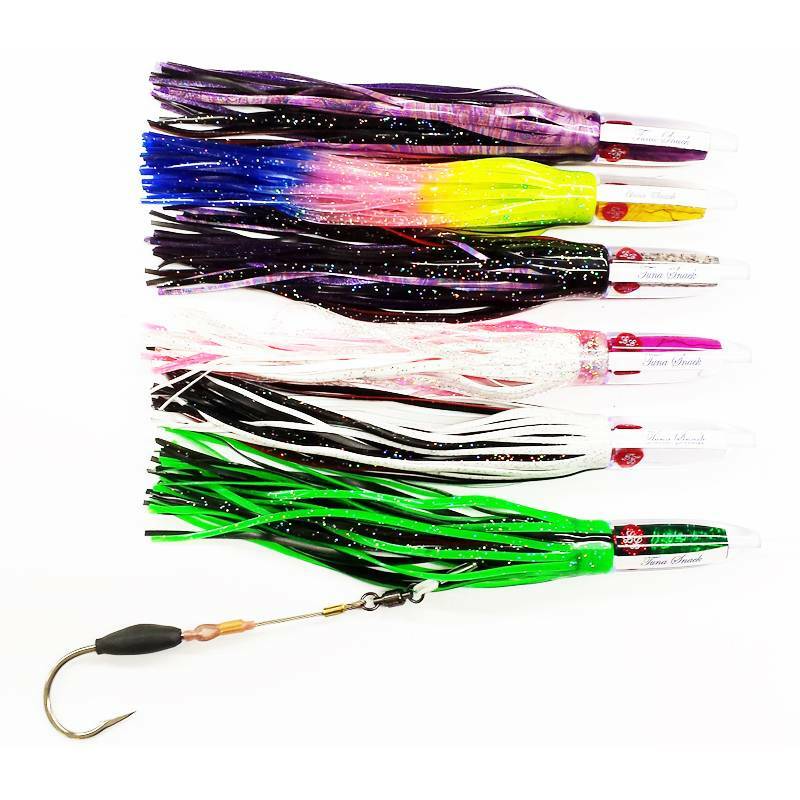 Leader is 8ft 200lb Momoi Hi-Catch mono with chafe thimbles at each connection. 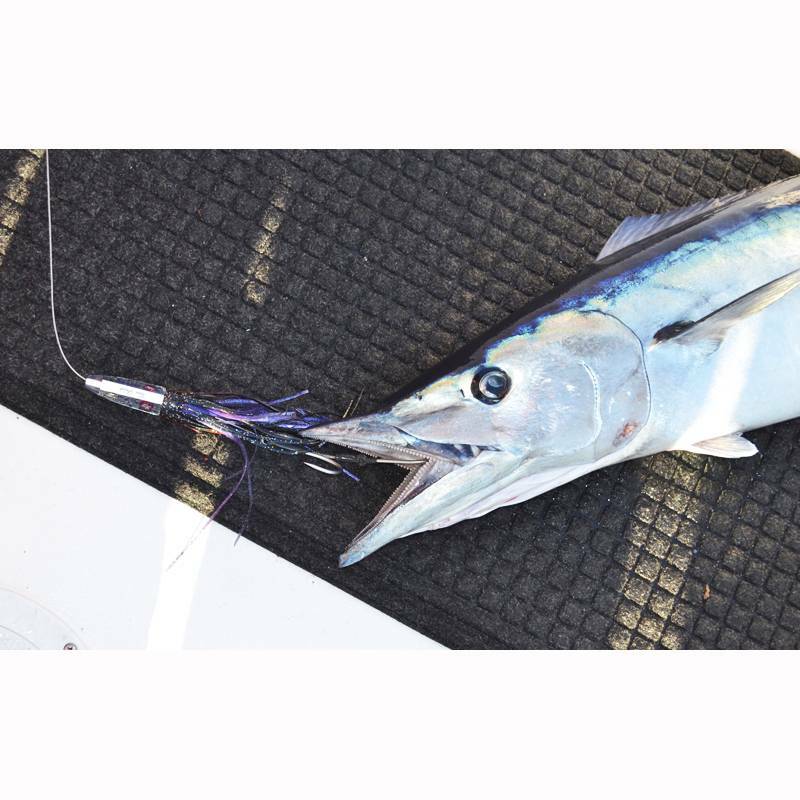 This is the preferred lure and set-up for the Tuna and has proven to be extremely effective. 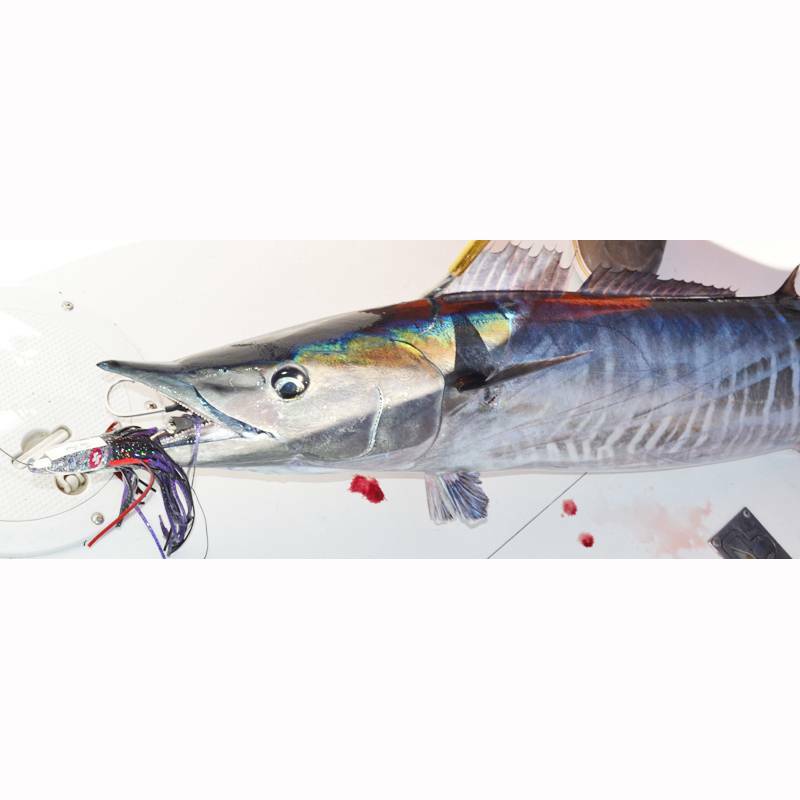 They way we rig our Tuna Snacks with cable hook-sets the Wahoo don't stand a chance.